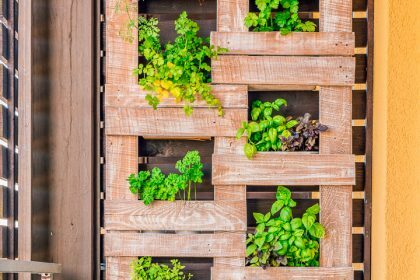 Looking for some DIY outdoor projects to spruce up your garden? 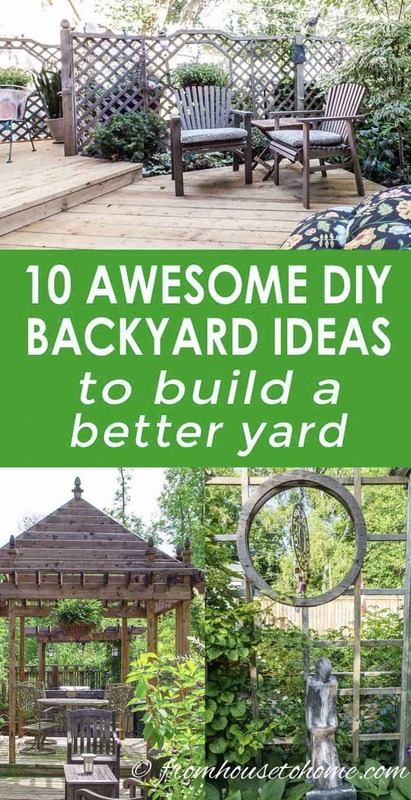 These awesome DIY backyard ideas will help you build a better yard. I love discovering great ideas (thanks, Pinterest!) that help me plan for my next garden project. 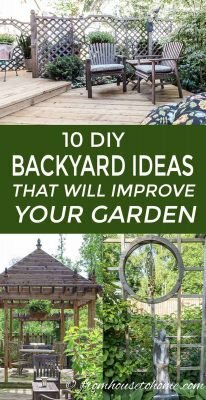 I recently found some creative garden paths and cool garden gates, so this week’s goal was to come up with DIY backyard ideas that will make my yard even better. Lately, I’ve been spending a lot of time in the yard, doing all of the annual maintenance to get things ready for winter. As always seems to happen when I’m doing this, I think of all kinds of DIY projects that I would love to build in my backyard. Of course, since I’m not actually building anything right now, it’s easy to keep adding ideas to the list. We’ll see how many actually get done when spring rolls around. 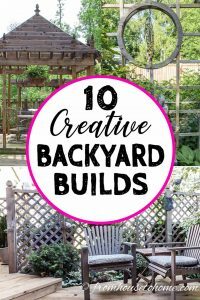 But anyhow, in case any of you are looking for DIY backyard ideas, I thought I would post my list of favorite garden projects. I have always wanted to have a hammock in my backyard. They remind me of being on vacation at a fancy resort where you can lie in a hammock by the beach and read a book. I’ve even gone so far as to buy a hammock. But I’ve never had a good place to hang it up, so it’s been sitting in the garage for a number of years now. Speaking of DIY backyard ideas that are perfect for reading a book, this backyard arbor with a built-in swing looks like it is made for relaxing. It’s a little more work to build than the hammock stand, but it’s also easier to get in and out of…so that’s a bonus for a lot of people. Yet another DIY backyard idea for putting your feet up and relaxing is this octagonal tree bench tutorial. Every time I see one of these tree benches, it seems to call my name to come and site down. Which could be a downside…if I had one in my yard, I might not get any yard work done. 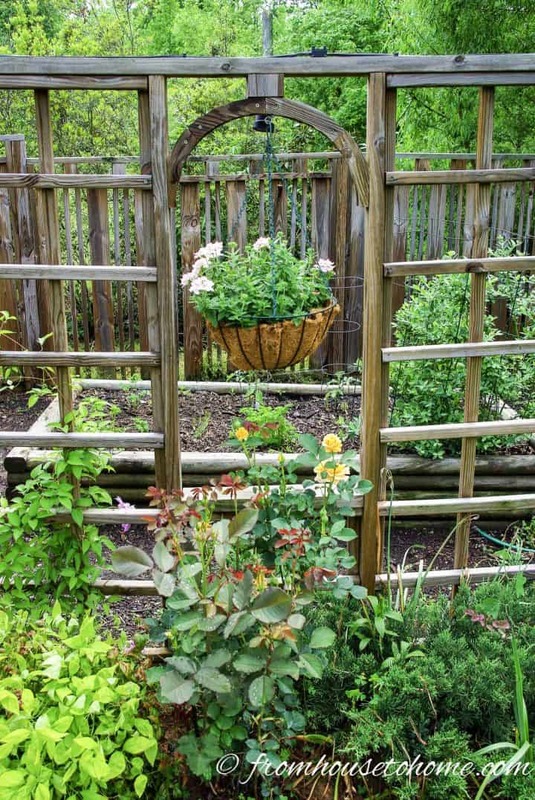 Adding a pretty trellis to your garden is another DIY backyard project that will add some interest to your yard. 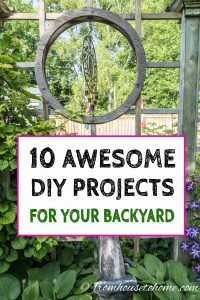 I have thing for arches and circles, so I love this DIY latticework trellis. The tutorial is for adding it to a porch. But it would look good as a standalone structure as well, like my mother has in her garden. 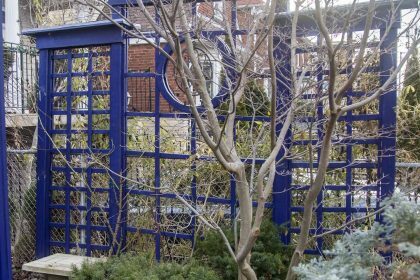 If you want a more substantial structure in your backyard, you can combine your trellis with a bench and some planters using this tutorial from familyhandyman.com. 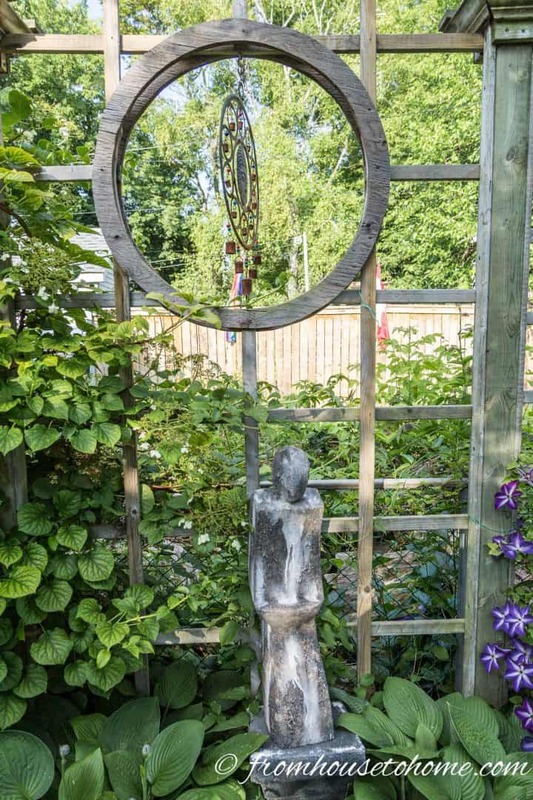 This would look great along the edge of a deck or even as a destination spot in your garden. 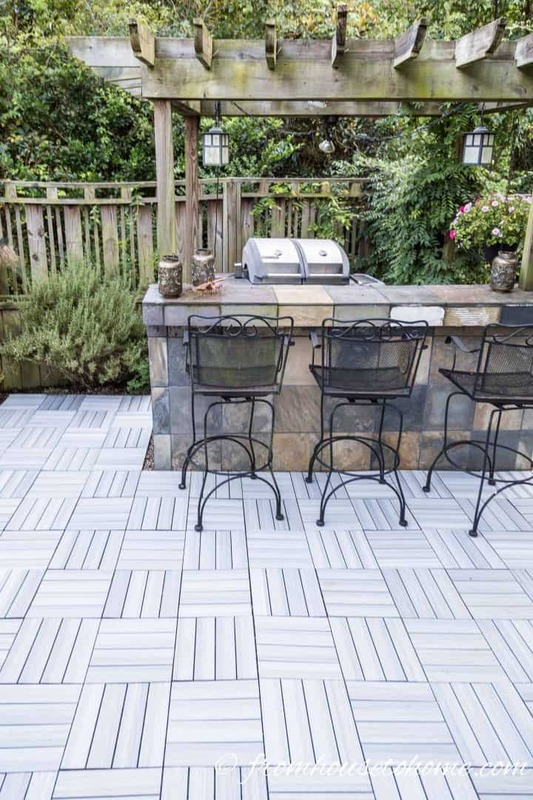 Speaking of decks and patios, if you don’t have one and would like one…but don’t want to go to all the effort of building one from scratch, deck tiles might be your answer. It took me less than a day to install composite deck tiles around the outdoor kitchen area in my backyard. Even better? These composite deck tiles* are very low maintenance. I don’t do anything with them other than blow the leaves off occasionally…much less work than my wood deck. The next one of DIY backyard ideas is another project that I have been wanting to do for a long time…install an outdoor TV screen. Watching TV on a big screen outside brings back memories of going to see drive-in movies when I was a teenager. How comfy does this look? 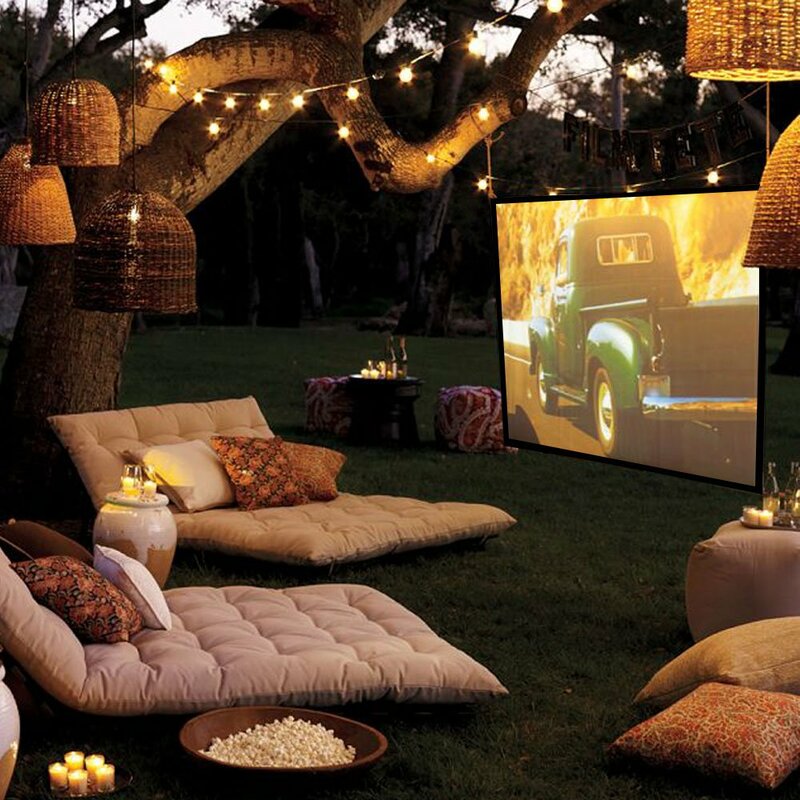 I think it would be so much fun to watch football games out in the backyard with a few friends. 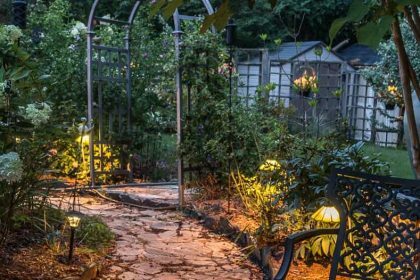 That picture above with the outdoor TV reminds me of one of my absolute favorite DIY backyard projects…installing landscape lighting. I think the right lighting makes the whole garden look magical and lets you get more use out of your yard at night. There are all kinds of different lighting effects you can do, and installing the lighting yourself really isn’t as hard as it seems. To me, there is nothing more relaxing than the sound of water in the garden. But installing a built-in pond and fountain that doesn’t leak is a lot of work! Which is why building a fountain in a box is the next one of my DIY backyard ideas. 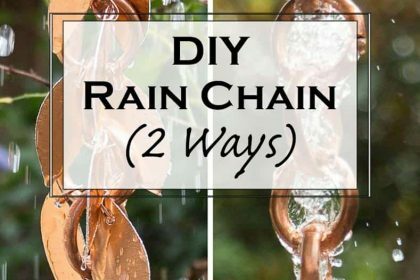 With this garden project, you can make the fountain the size that you want and place it wherever you want to, without having to do a bunch of digging. 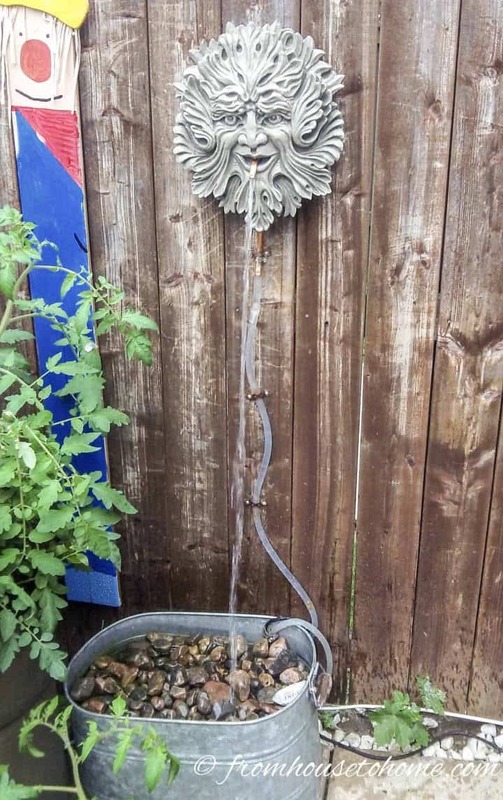 My brother made his even easier by using a galvanized tin bucket as the pond and attaching the fountain to his fence. The perfect solution for a very small space! The next project on my list of DIY backyard ideas is to make a privacy screen. 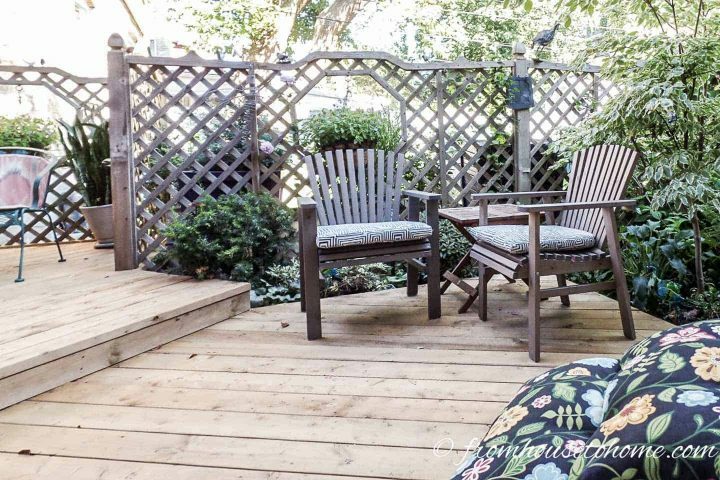 If you live in a subdivision where the yards aren’t very big, a privacy screen (like this one around my mother’s deck) can help part of your backyard feel more secluded. 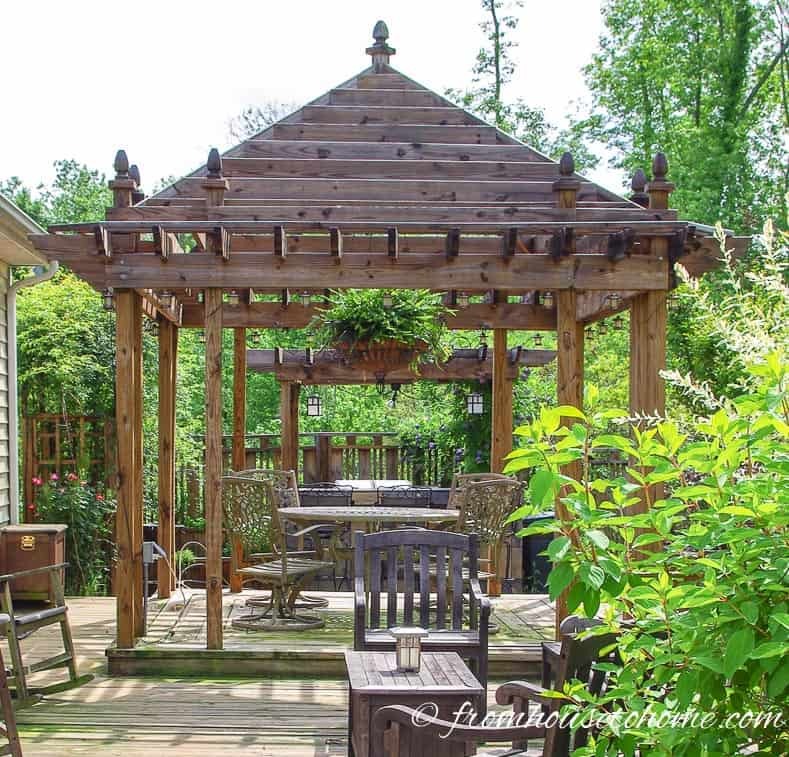 It creates a space that feels like a romantic secret garden which will give you a spot you will want to hang out in. Privacy screens can also be used to define different areas in your yard. I use mine to separate the vegetable garden and shed from the rest of the garden. Find more backyard privacy screens HERE. 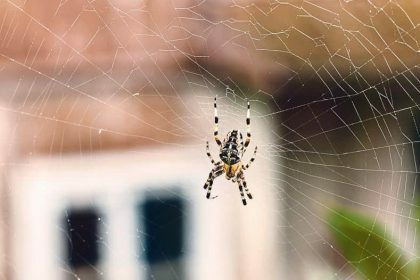 Finally, if you happen to have a yard that gets a lot of sun, then putting up a shade structure or two might be high on your priority list of DIY backyard projects. 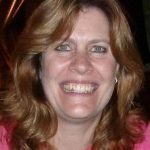 Fortunately, there are lots of options to address this problem that range from shade sails to gazebos to creative sliding panels. 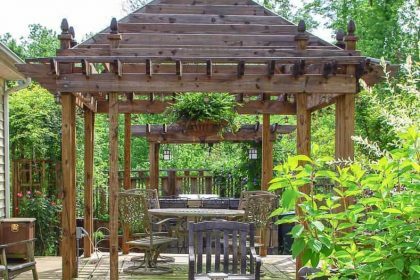 Find out more from our list of backyard shade structures. Have comments or questions about our DIY backyard ideas? Tell us in the section below.